To release plate �b�, press the release button on buckle �b�. 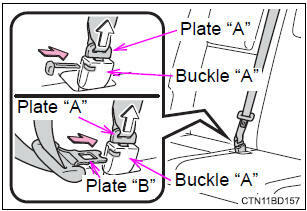 To release plate �a�¸, insert the key Or plate �b�¸ into the hole on buckle �a�¸. 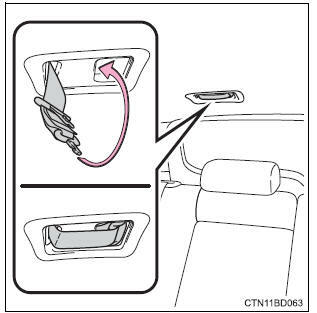 Holding plate �a� and �b� together, insert both plates into the holder on the roof. 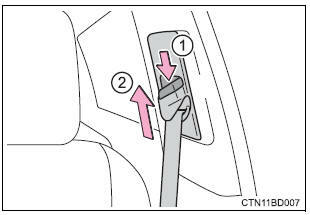 Push the seat belt shoulder anchor down while pressing the release button. 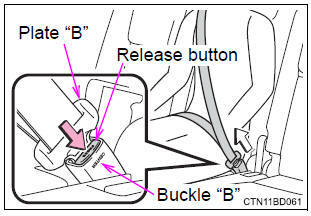 Push the seat belt shoulder anchor up.